1. How long is the Great Wall of China? The Great Wall of China is over 6,000 kilometers. This is the wall often referred to when we talk about the Great Wall. But according to the State Administration of Cultural Heritage and National Bureau of Surveying and Mapping Agency in 2009, the latest data of the length of the Great Wall is 8851.8 km, which is 2000km longer than the past data. On June 5th, 2012, after four years of investigation, with concerted efforts of over 4,000 technicians, it came to a conclusion that the accurate length of the Great Wall is 21,196.18 kilometers, including all the walls built in different dynasties around China. 2. Who built the Great Wall, when and why? Millions of the people constructed the Great Wall. The labor force to build the Great Wall includes workers, soldiers, forcibly recruited peasants, slaves, convicts and war prisoners. The Great Wall of China was not built all at one time. In 7th and 8th century BC, battles happened frequently among the states of the Spring-Autumn and Warring States dynasty and in order to defend themselves they began to built walls and towers on the borders. It was during the Qin Dynasty that the kingdom of Qin united the different parts into one empire. To defend off the invasions from northern invaders，Emperor Qin Shi Huang had all the walls joined up. Thus, the Great Wall came into being. Since then, the Great Wall was rebuilt, modified or extended throughout Chinese history for over 2,000 years by millions of Chinese people drafted in for the task. The primary purpose was always to protect the Chinese Empire from the Mongolians and other invaders. Most of the current Great Wall we see today was built in the Ming Dynasty (1368-1644) and is approximately 6000km long. 3. Where is the Great Wall of China located? 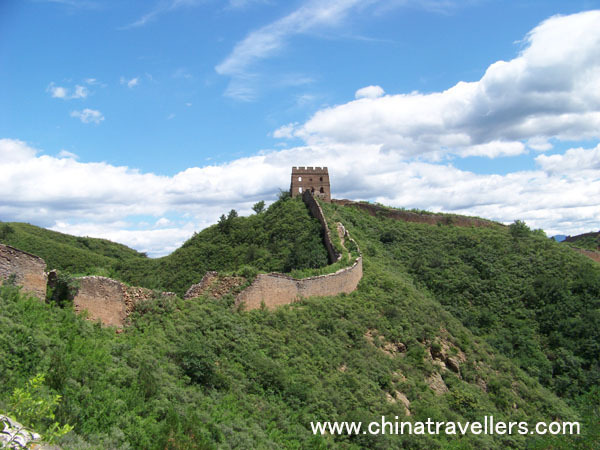 The Great Wall stretches across North China from east to west for over 6,000 kilometers. It extends from the Shanhai pass at the seaside in the Hebei province in the east to the Jiayu pass in Gansu province in the west. The sites of the Great Wall stretch across 15 provinces of China. 4. How was the Great Wall of China built? The construction of the Great Wall was mainly done by hand. The large stones, earth, wood and bricks were carried on human’s back or lifted by the bar. Simple machines were also used, such as varied handcarts, crowbars and wheels. Horses and Donkeys were also used to transport the materials. Thousands of men died and were buried under the wall they built. The Great Wall was made not only of stone and earth，but of the flesh and blood of millions of men. 5. What is the Great Wall of China made of? The Great Wall was originally built in the Spring and Autumn but it was mainly built from earth, stones, and wood. Based on the technology available at different dynasties, the Great Wall was usually built with compacted earth and stone which was found in the local area. Natural terrain such as mountain ridges was often taken advantage of to form part of the wall. During the Ming Dynasty, bricks were heavily used in many areas of the wall. The size and weight of the bricks made them easier to work with than earth and stone, so construction quickened. Additionally, bricks could bear more weight and endure better than rammed earth. Stone can hold under its own weight better than brick, but is more difficult to use. Consequently, stones cut in rectangular shapes were used for the foundation, inner and outer brims, and gateways of the wall. 6. How long did it take to build the Great Wall in China? The Great Wall of China was built in several stages, not in one continuous effort. Beginning is the 6-7th century BC and ending in the 16th century AD. 7. How wide and how tall the Great Wall of China is? The Great Wall is wide enough at the top for five horses or ten men to walk side by side. The Great Wall ranges in height from just a few feet to over 30 feet tall. Since some of the Wall is built on mountain peaks and high ridges, it looks even taller. 8. What is the best time to visit the Great Wall of China? 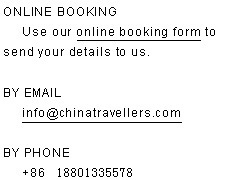 You can visit Beijing at almost any time of the year. In Beijing, all the sections of the Wall are open to travelers all year round. The Great Wall offer timeless charm to tourists, but scenery varies with seasons. Visit it in different time you will get a quite different scene. 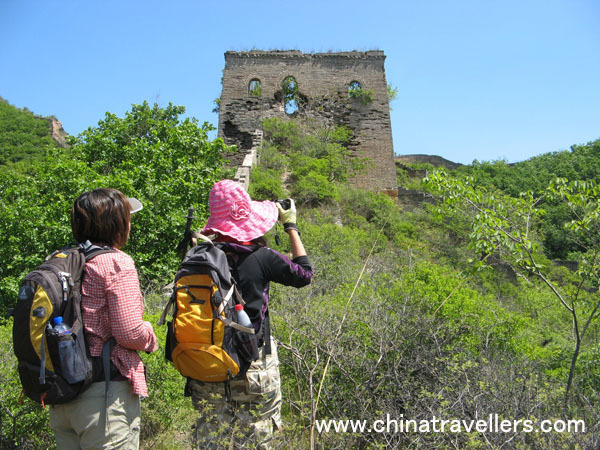 The ideal months for the Great Wall walking and hiking are spring, early summer and autumn - later March, April, May, June, September, October and early November. The ideal months for the Great Wall camping are late spring, summer and early autumn – May, June, July, August, September and October. The majestic Great Wall was built with wisdom, dedication, blood, sweat and tears. As one of the Eight Wonders in the world, the Great Wall of China has become the symbol of the Chinese nation and its culture. Lots of beautiful legends and stories about the Great Wall took place following along the construction, and since that time these stories have spread around the country. Beautiful stories and legends about the Great Wall help to keep alive Chinese history and culture. In each dynasty after the building of the Great Wall, many more stories were created and spread. The most well known of all of the legends of The Great Wall of China is the story of "Meng Jiangnu’s Weeping"whose husband died building the wall. Her weeping was so bitter that a section of the wall collapsed, revealing her husband’s bones so she could bury them. The Great Wall provides superb defense since it had been created in strategic places. It played an important role then. Over 2000 years ago, the Great Wall had been serving as an effective way for defense in China history. As a product of the clashes between agricultural and nomadic economies, the Great Wall provided protection to the economic development and cultural progress, safeguarded the trading routes such as the Silk Road, and secured transmission of information and transportation. The Great Wall is a powerful symbol. It represents the unification of China, because it was linked together as China was unified for the first time in the Qin Dynasty (221-206 BC). It represents the awesome ability of the Chinese to work together for the good of the country. While it represents unity on the China side the Great Wall represents separation from the rest of the world on the other, along with the lengths a nation will go to to preserve their culture and keep invaders out. Ironically, as a tourist attraction, the Great Wall is now helping to draw millions of outsiders in to China to experience Chinese culture. Who built the Great Wall, when and why? What is the best time to visit the Great Wall of China? Can the Great Wall be seen from the outer space?